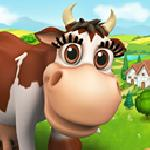 Country Life Meadows Collect Free Items, Daily Cheats, Rewards, Gifts. 6 new recipes are here to make good use of those new crops and tree. For starters, an HDL-boosting Charred Broccoli and Avocado Salad. Great for lunch break, the Broccoli Walnut Pasta gives you energy for the rest of the day, excellently complemented by a Summer Radish Salad.... If youre in for the yummy stuff, the Pan Fried Radishes with Bacon is an excellent choice, a creative spin on the more classic potatoes dish. For dessert, have a slice of Walnut Caramel Tart, or a Coffee Cream and Walnut Cupcake. Also, 20 Power is waiting for you after you click on this link: --------------------------------------------- Link Click to claim! --------------------------------------------- Bon Apptit! Howdy, farmers! The mighty Walnut Tree is here! Along with it, two more crops: the powerhouse of nutrients that is Broccoli, and Radishes, a possible low-calorie snack for people who also disguise sliced carrots as french fries. The Walnut Tree is a big tree! It has a bigger base and also needs to be placed a bit further from other trees in order to grow. But it will yield more than your average tree! Instead of 3 crates as any other tree, it will produce between 3 and 7 crat...es! Want to check out the new stuff immediately? 20 Fertilizer await you after clicking the following link: --------------------------------------------- Link Click to claim! --------------------------------------------- There are also two new Achievements for you to earn: Radish, Steady, Go! and Brocstar. OUR BIGGEST UPDATE YET! - no more computer frying - Ladies and gentlemen, welcome to blazing fast farming! Were very happy to give you a completely new game engine, for the best farming experience possible on Facebook.... Thank you for your support, youre the best fans ever!!! Now that we have a platform on which we can build on, we can do much more things. The adventure is just beginning! To celebrate, 10 RC are waiting for you after clicking this link: --------------------------------------------- Link Click to claim! --------------------------------------------- Happy farming! Holiday Cookies are back! Discover all 9 cookie types by baking cookies in your Farm Kitchen to earn the Crystal Key! The Crystal Key unlocks the Christmas Theme for your Truck. 5 jars and 20 Power are waiting for you after you click this link:... --------------------------------------------- Link Click to claim! --------------------------------------------- Holiday Cookies require Milk, Flour, Honey and a Holidays Secret Ingredient. From time to time, you will make a new type of cookie. Each new one discovered gives you 5 Power, 20 XP and a Holiday Secret Ingredient. They also sell for a nice profit! Happy Holidays! 5 new recipes will take you through French and Asian cuisine to compliment the new crops: Eggplant Ratatouille, Tofu, Soy Sauce, Soy Milk (made in the Juicer), and Eggplant and Tofu Stir Fry. Also, 20 Power is waiting for you after you click on this link: ---------------------------------------------... Link Click to claim! --------------------------------------------- Happy farming! Howdy, farmers! Mint, Peaches and Watermelons are here! These refreshing stars of the Summer are here just in time for cool orders from your customers! - 2 New Achievements: A Boon Apart and In Mint Condition.... - 3 New Recipes: Texas Peach Cobbler, Watermelon Feta Mint Skewers and Mint Chocolate Chip Donuts. Want to check out the new stuff immediately? 20 Fertilizer and 20 Power await you after clicking the following link: --------------------------------------------- Link Click to claim! --------------------------------------------- Happy farming! Howdy, farmers! Here we are, WEEKS ahead with the Holidays contests, as usual! (kidding) This Easter, weve brought to the farm a cute and hard working chicken, the Easter Egger!... With its slightly larger than average eggs, you can bake the almost-impossible-to-get-right Panettone, the cake that turns every home cook into baking royalty. Easter Eggers are not a breed per se, but a variety of chicken that lays large to extra large pale green eggs. Eggs are used in special recipes that require large eggs, such as Panettone and Spanish Tortilla. Add them to an existing Chicken Coop or buy a coop first. To get the Easter Egger for free, finish the Easter Eggs Hunt by completing a few daily quests! There are 7 days of them, and the contest is over in 14 days. Each completed quest gives you a few eggs per day. Get all 19 eggs and win the Easter Egger!! Make delicious Easter Recipes in your Farm Kitchen! Easter Muffins and Easter Cakes are available for you to make! Make 105 recipes and win the Easter Kitchen theme! They also sell for a nice profit! Both recipes require Candy Sprinkles. You can ask your friends for them, or you can get them in the Shop, from the OPs tab. Want to start baking immediately? 20 Power awaits you after clicking the following link: --------------------------------------------- Link Click to claim! Happy farming and we wish you a sincere Happy Easter, to you and your families! Howdy, farmers! Todays update brings some floating antioxidants, possibly the king of starch, and a plant that makes sheep envious. Please welcome Cranberries, Rice and Cotton to your farm!... Cranberries and Rice are crops that require plenty of water, so youll need to build a Water Well and have irrigation installed! These crops can only be planted on irrigated plots. 4 New Achievements: Winter is Coming (yes, finally an achievement for the Cool Packer), Flood the Bog, Rice Rice Baby and In High Cotton. 4 New Recipes: Spanakopita (Greek tart), Cranberry Muffin, Rice And Steamed Vegetables, and Cranberry Sauce. 1 New Weaver product: T-shirt. Want to check out the new stuff immediately? 20 Fertilizer and 20 Power await you after clicking the following link: --------------------------------------------- Link Click to claim! --------------------------------------------- Whats new: - Increased Coins and RC level up reward. - Added 3 new crops - Cranberries, Rice and Cotton. - Added Support with an all-new F.A.Q. section. - New Daily Rewards system, that boring Raffle is out. - Added Advanced settings, where you can customize how tooltips, mouse cursors and main toolbar are displayed. Hover over each and see what they do or, for Click locking for planting and harvesting, click the blue info circle. - New Automation popup where you can turn all Gear or Animals ON, OFF or Custom (as they were). Click on the Operations bar to open it. - Added possibility to open or close all Greenhouses from the Automation popup. - Added possibility to rename your farm and choose if its a farm or a ranch. Clicking on the aquamarine XP bar opens the new Next Level + Stats and Records window. - Next Level tab shows you what you will unlock at the next level. - Stats and Records tab will show: - your records - Max crops harvested in 1 day and 1 week and Max XP earned - your badges - your Kitchen Rank - Added new Friends bar, with the possibility to see their earned badges, and XP. - Added a new feature where you can tell your friends what ribbon youre working on, and they can Like your goal to encourage you. In Achievements, hover over any Ribbon to be earned and click on the Hourglass icon. Your friends will get a notification that you started earning that ribbon in their Activity tab. Likes for the in progress ribbon are in red, those for the earned one are in green. Respectively, you can see what your friends are working on in your Activity tab, just above your Friends bar. - Added a Detailed View mode in the Shop , available for every item in the store. Clicking on the item (not its price bar) shows the items description, what it makes and what its product is used in, elsewhere in the farm (in a gear, animal or building). Happy farming! All Aboard the Little Train! Make Holidays Toys in the Craft Shack and place them on the Little Train. Once the train has all it's toy passengers, it departs to it's final destination. Thats a magical place that is obviously far, far away. There are 14 toys to discover. Holidays Toys are made from Pine Lumber, Oak Lumber and a Toy Blueprint. Each new type of toy you discover gives you 5 Power, 20 XP and 1 Toy Blueprint. They also sell for a nice profit!... Once completed, the Little Train can be placed on your farm or in your Warehouse. You can get Toy Blueprints from friends, or buy them from the OPs tab in the store. Also, as a bonus, you will get the awesome Craft Shack holidays theme, once you make all 14 types of Holidays Toys! 20 Power awaits you after you click this link: --------------------------------------------- Link Click to claim! --------------------------------------------- Updates: - Now you can name your dog and cat! Click on Move, then click on the purple paws name-tag that appears over the cat or dogs area. Then type the cat or dogs name and click Save Name. Done! - Greatly improved the Husky Dogs behaviour. Now it makes sounds and knows a few more tricks: scout, listen, sleep. - Now the cat and dog sleep in their cottages! Feed them and after some time of roaming around the farm they fall asleep. Click on them to wake them up and receive 20XP! If you wont feed them, they wont fall asleep. - Added a way to replay all the tutorials for the Holidays contests from their respective popups. Its the blue button next to the close button. - Added very serious and informative descriptions for multiple items in the Shop. - Various UI improvements. - Added a way to turn of Holidays theme song for all contests, from the candy contest popup. - Now the Cosy Snowman and Winter Scarecrow are animated. - Now you can place the Little Train on your farm, once completed, or in the Warehouse. - Fixed a bug where the Craft Shack and Kitchen did not automatically resume production when having a queue and the farmer got the materials required. - Fixed a bug that didnt displayed the remaining days for the 3 contests correctly. Happy Holidays! Get the amazing Winter Holidays theme for your Kitchen by doing some magical cooking! A new recipe is available, Holiday Cookies. It requires Milk, Flour, Honey and a Holidays Secret Ingredient. 5 jars and 20 Power are waiting for you after you click this link: ---------------------------------------------... Link Click to claim! --------------------------------------------- From time to time, you will make a Gourmet Cookie. Each Gourmet Cookie gives you 5 Power, 20 XP and a Holiday Secret Ingredient. They also sell for a nice profit! Happy Holidays! Howdy, farmers! This Thanksgiving, all turkeys get a Presidential pardon! The big birds will prove more useful than ever, with 4 crafts needing their wonderful feathers. Also, the new Craft Shack is here to help you show off your handcrafting skills! It works just like the Kitchen, using Power to craft beautiful toys and other handmade objects. Each craft uses 1 Power and some crafts use more than one tool. ... New Trees: Oak Tree and Fir Tree. 3 New Achievements: Against the Grain, Paint the Lily and Sewing Mends the Soul. Want to check out the new stuff immediately? 20 Fertilizer and 20 Power await you after clicking the following link: --------------------------------------------- Link Click to claim! --------------------------------------------- Happy Thanksgiving! This Website is not affiliated With Country Life Meadows. Trademarks are the property of their respective owners. Game Content and Materials Copyright Country Life Meadows. All right reserved.